It’s easier than ever to go beyond serving glasses of pumpkin ale and neon orange-colored cocktails at an annual Halloween party. Why not serve a few drinks that may actually scare your guests? There may not be a better bottle than Scorpion Vodka to display at a Halloween party. 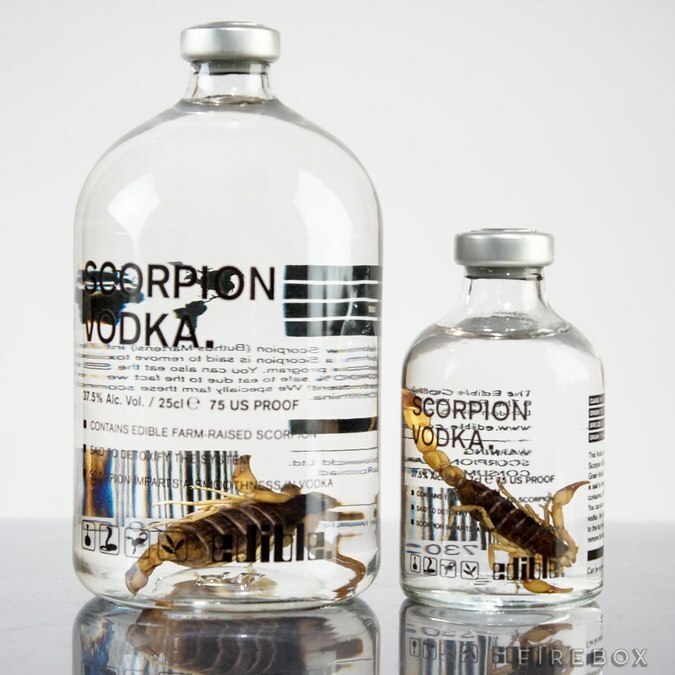 The sight of an actual scorpion floating in the 75-proof vodka guests will be swallowing is “guaranteed to frighten the living daylights” out of them, according to online seller Firebox. The best part? Its makers promise the specially-bred Chinese scorpion is completely safe to eat once the bottle is empty. A scorpion is pretty frightening, but it’s no cobra. The alcohol in this traditional and terrifying Asian rice wine neutralizes the encased snake’s poisonous venom. Huffington Post called it “one of the most manly beverages ever made” and wrote that it is believed to increase male virility . 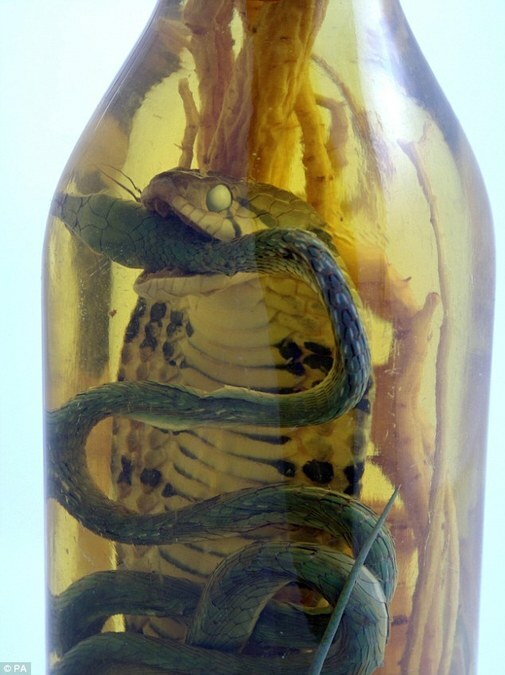 You likely won’t find snake wine in an American liquor store but it can be bought online and shipped to the U.S. for a hefty price. CLICK HERE FOR HALLOWEEN DEALS. Chances are those who grew up in one of the 14 states where Everclear is banned are well aware of its legend. It’s not much to look at — a clear grain alcohol — but its alcohol content is enough to scare party guests. 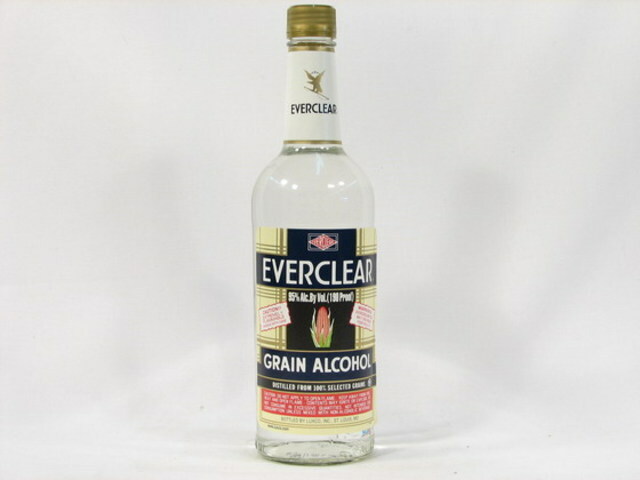 At 95 percent alcohol by volume, Everclear is as close to pure alcohol as drinkers may readily get. A legendary spirit, it's long-rumored to bring hallucinations — and possibly death — to its drinkers. Also known as “The Green Fairy,” French absinthe’s emerald tint will spark up a conversation at any gathering and can separate the brave from a crowd of partygoers. 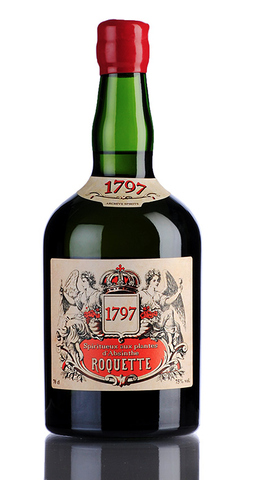 The recipe of Absinthe Roquette 1797 also carries some legend, reportedly dating back to a hand-written manuscript from the 18th century. This unique liquor may not be available for sale, but the idea alone is enough to scare many drinkers. 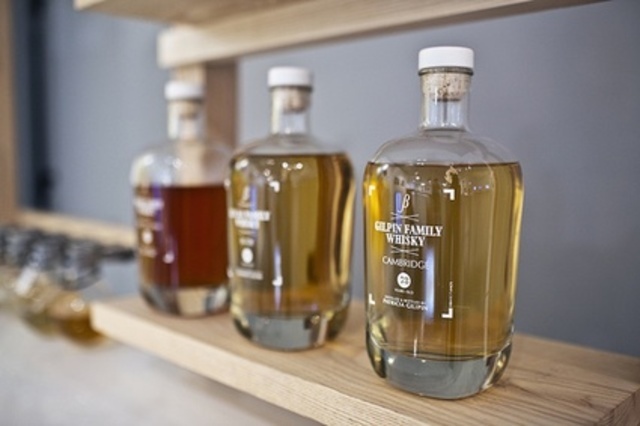 Processed from the sugar-laden urine of diabetics, Gilpin Family Whisky is meant more as an art project than an actual drink. Designer James Gilpin came up with the idea and approached his diabetic grandmother to be his first donor. From Scottish brewery Brewdog, a bottle of this extremely limited edition beer (only 12 bottles were brewed) is sure to start a conversation at a Halloween party. Every bottle of this 55 percent alcohol-by-volume batch is packed into a stuffed squirrel or weasel. 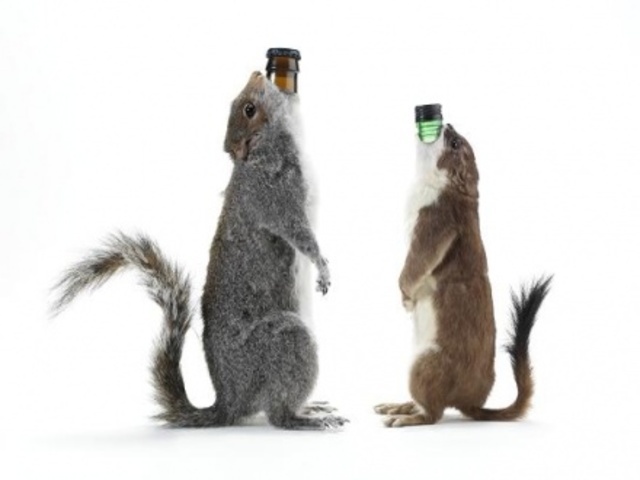 The beers are now completely sold out, but if you know a taxidermist, maybe you can fashion your own replica bottle. Looking for more frightening drinks? Try a Korean rice wine made with human feces , a Chinese wine made with dead baby mice , and shots of pure cobra blood which are served on the streets in one of Indonesia’s biggest cities.